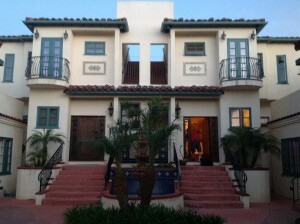 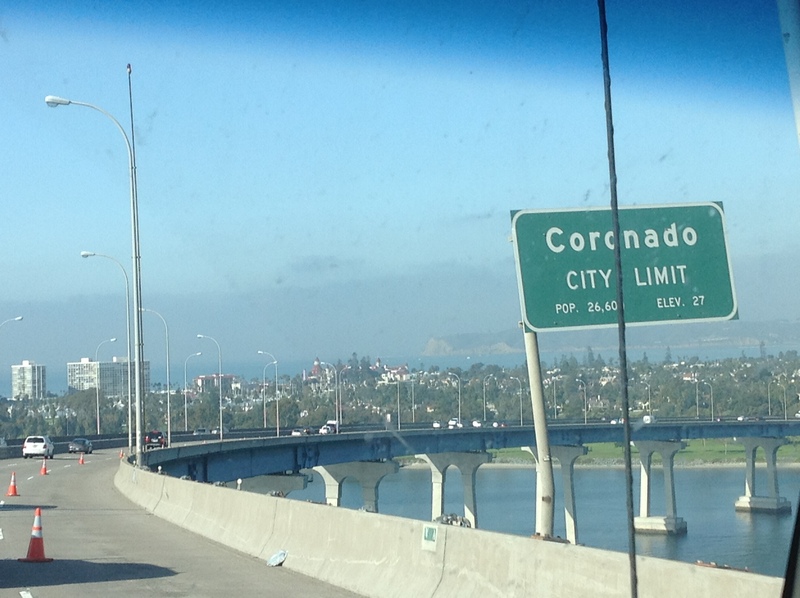 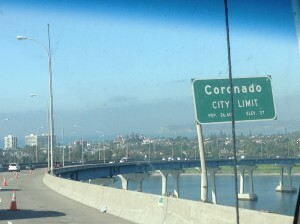 These are before pics of Saltllo Flooring in Coronado Island in San Diego California. 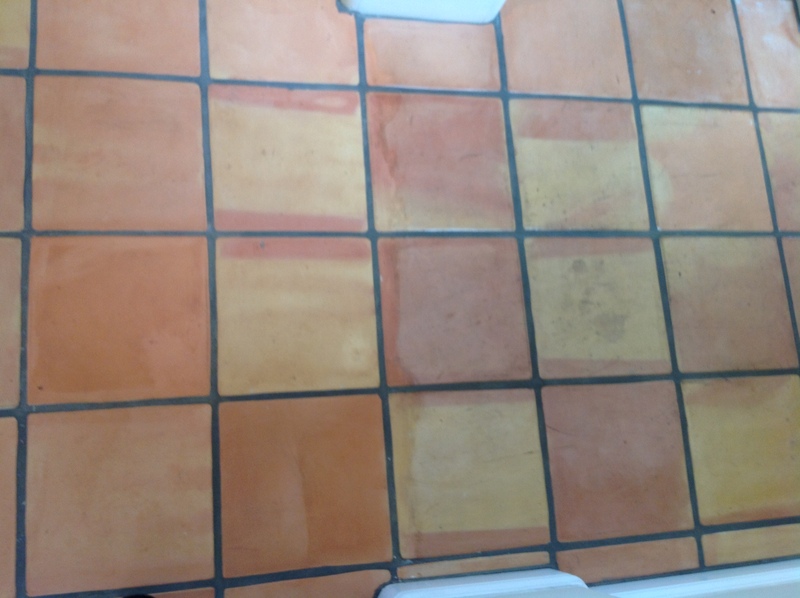 These Saltillo tiles were installed in 2004 and were trashed after 10 years of traffic and no Saltillo Maintenance. 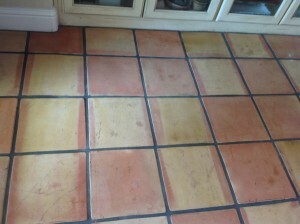 Black scuff marks everywhere, lots of yellowing and some extreme ware in the kitchen. 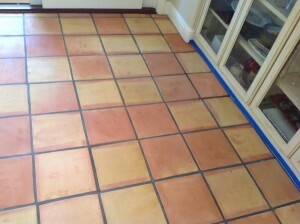 Let us show you how Your Saltillo Floor Tiles will look with a Demo test. 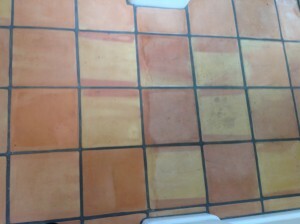 You can see the clean spot in the 1st pic That was to show our customer how great there floor was going to look , plus that’s how we determine how much to charge per square foot. 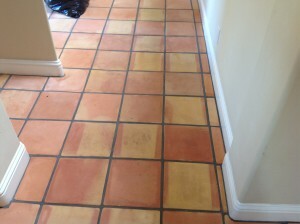 Which is based on how thick the existing topical coating sealer is. 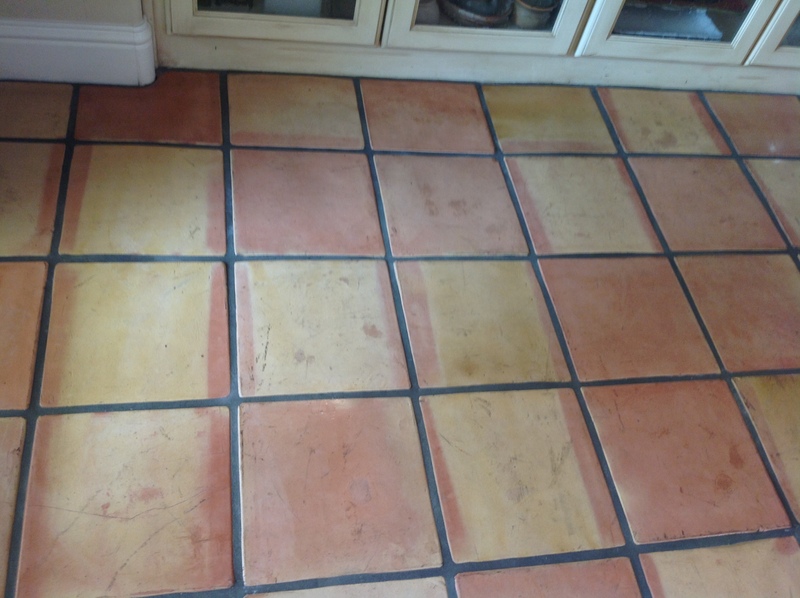 For example, If you put on a coat or 2 of sealer on your Saltillo Floors every year for ten years, now you have 20 coats of sealer which will be a lot more stripping work compared to 4 coats applied over the 10 year period. 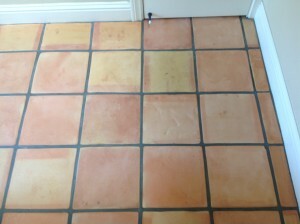 The 2nd pic is half stripped Saltillo tiles & half not stripped. 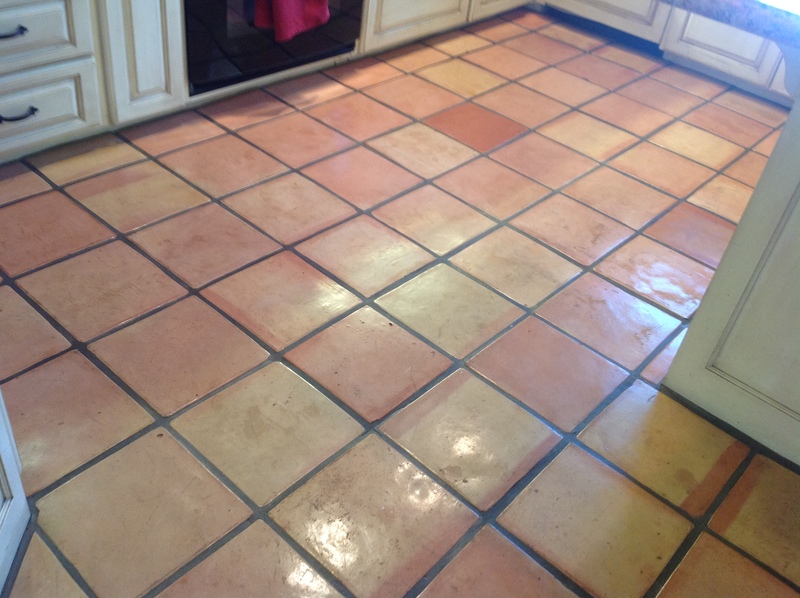 These pictures are after we just thoroughly detailed, stripped, and cleaned the Saltillo tiles and grout on our hands and knees, you can see the natural colors and characteristics come back to life. 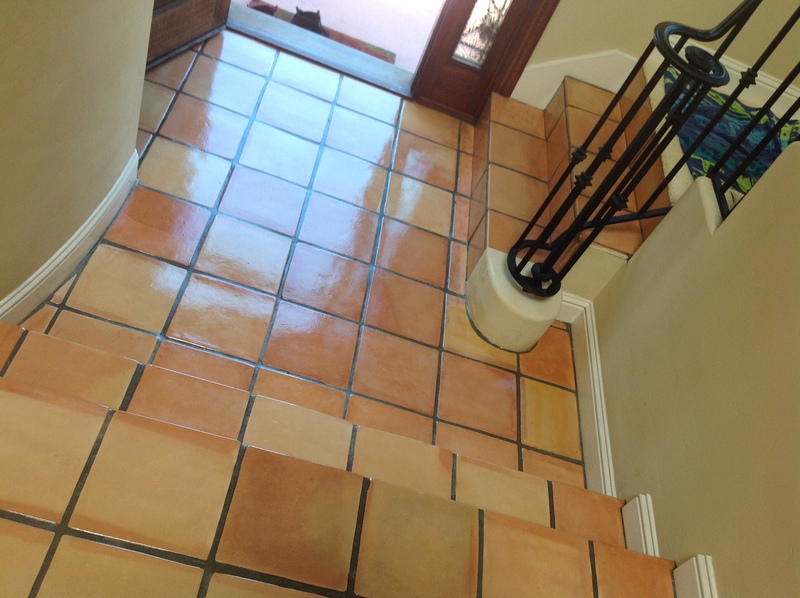 After we properly strip and clean Mexican Saltillo tiles we then do a few coats of high gloss shine to bring the Mexican Saltillo Tile Floor back to showroom Quality. We specialize in Refinishing and installing saltillos and have over 23 years of experience and we use no machines. We believe in Quality over speed and machines can’t reach nooks & crannies, nor really clean the Saltillo grout. 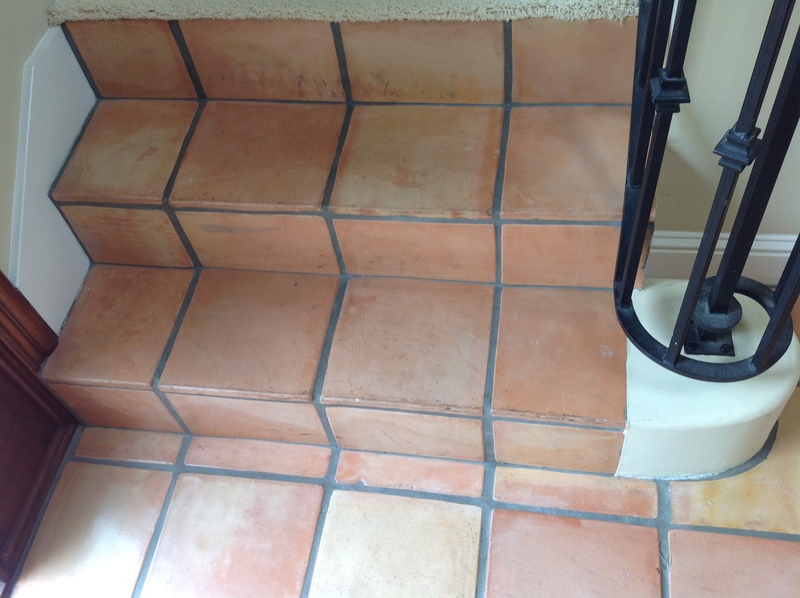 Grout can ruin a whole project..
Don’t Hesitate to call California Tile Restoration Today for Professional Saltillo Cleaning and Refinishing Services done by hand. 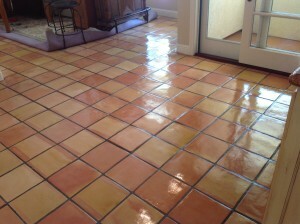 Call (707) 384 1172 or E-mail. 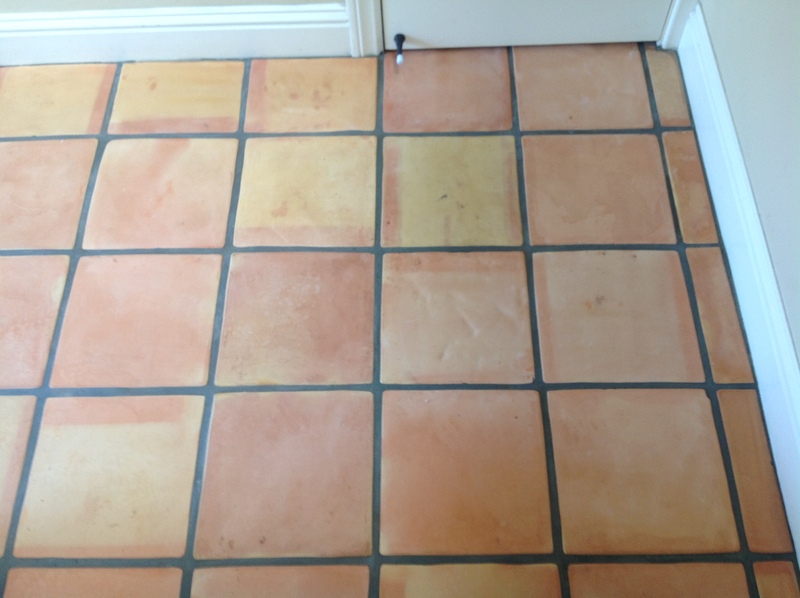 California Tile Restoration has restored Saltillo clay tile all through Counties and cities like Marin County, Tiburon, Belvedere, San Francisco, Los Angeles, San Diego, Coronado. Saltillo tile restoration services in Berkeley, San Jose, Emeryville, Mendocino County, Napa County, Petaluma, Santa Rosa, Cotati, Sebastopool, St. Helena, Rohnert Park, Sacramento, Auburn, Poway, Rancho Santa Fe, Imperial Beach. California tile restoration installs Saltillo clay tiles in San Rafael, Santa Clara, Santa Cruz, Jackson, Piedmont, Oakland Hills, Sausalito, Mill Valley, Corte Madera, Green Brae, Larkspur, Kentfield. We refinish Saltillo tiles by hand in San Anselmo, Inverness, Fairfax, Bodega Bay, Bolinas Bay, Stinson Beach, Marinwood, Santa Benitia, Sonoma County, Glen Ellen, Yountville, Saratoga, Windsur, Davis, Dixon, Lafayette, Danville, San Ramon. 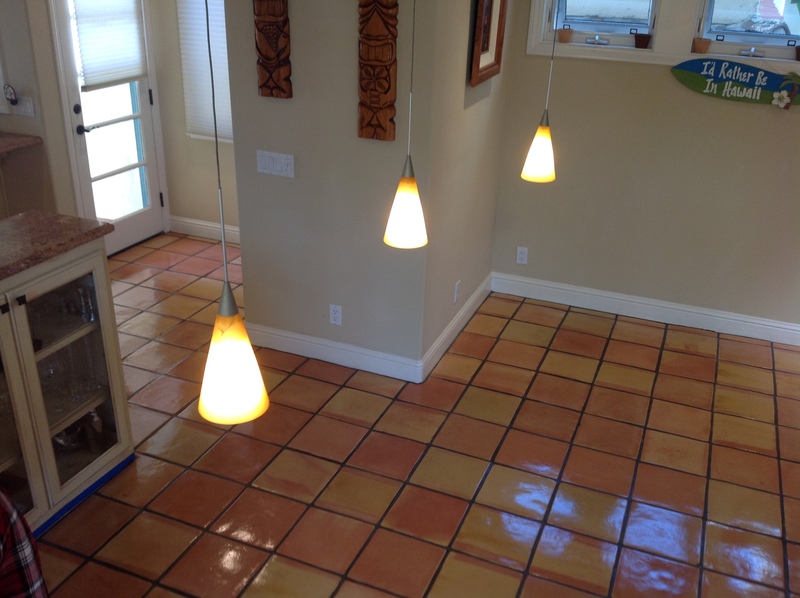 We also custom Stain Saltillos in Las Vegas Nevada, Carson City, Palm Springs, Sherman Oaks, Thousand Oaks, Blackpointe, marin city, Crockett, Salinas, Monterey, Seaside, Lake Tahoe, Reno, Albuquerque New Mexico, Arizona, Phoenix. 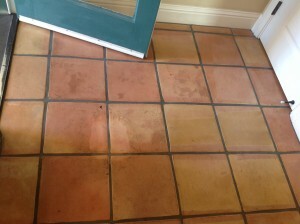 No Machine Quality Refinishing of Saltillo tiles in Elk Grove, Folsom, Carmichael, Natomas, Fresno, Stockton, Modesto, Walnut Creek, Crow Canyon, Milpitas, Encinitas, Manhattan Beach, Escondido, El Cajon, Torrance, Riverside County, Ventura, Vista. Saltillos stripped cleaned refurbished and sealed in Moraga, San Joaquin Valley, Silicone Valley, Terra Linda, Ignacio, Los Altos, Los Altos Hills, Mission Bay, Mission Valley, La Mesa, Otay Mesa, National City, Pacific Beach, Ramona, La Costa, La Jolla, Santee, City Heights, Scripps Ranch, and Elfin Forest. 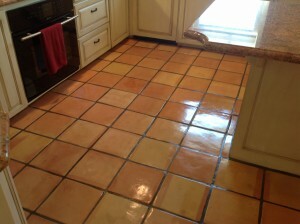 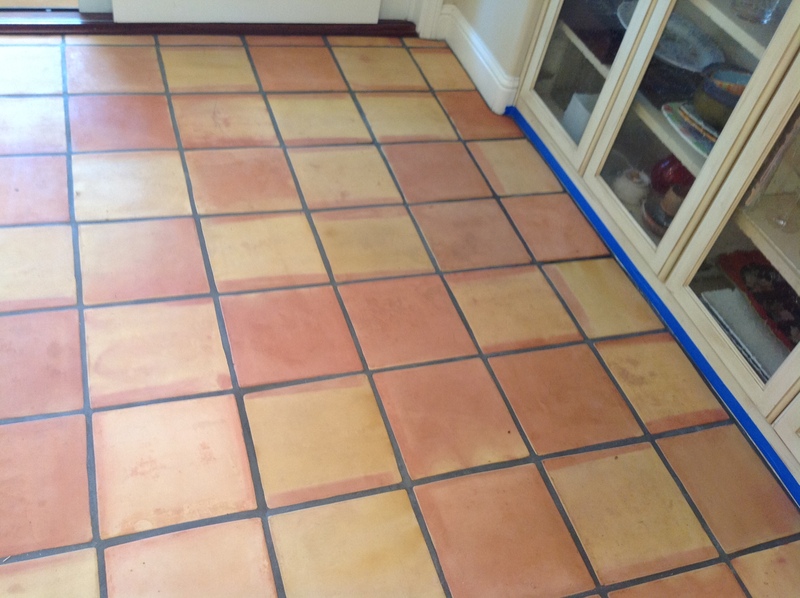 Saltillo Tile Refinishing the RIGHT way.. Its a specialty and we take pride in our craft.